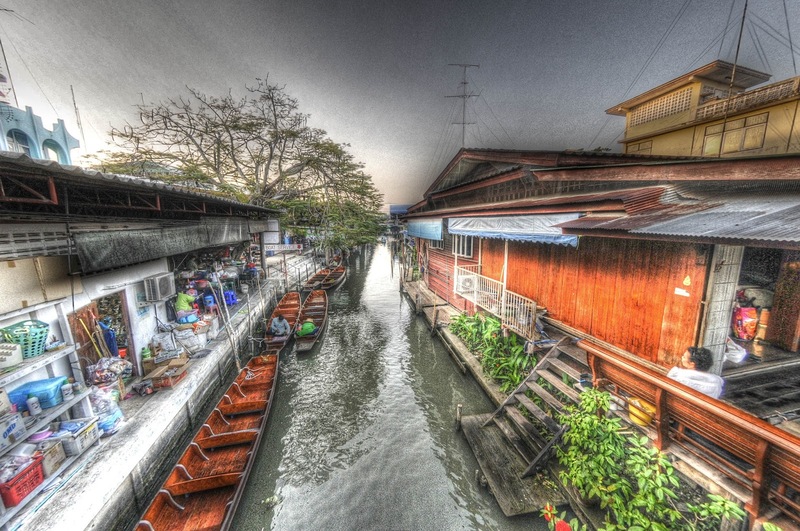 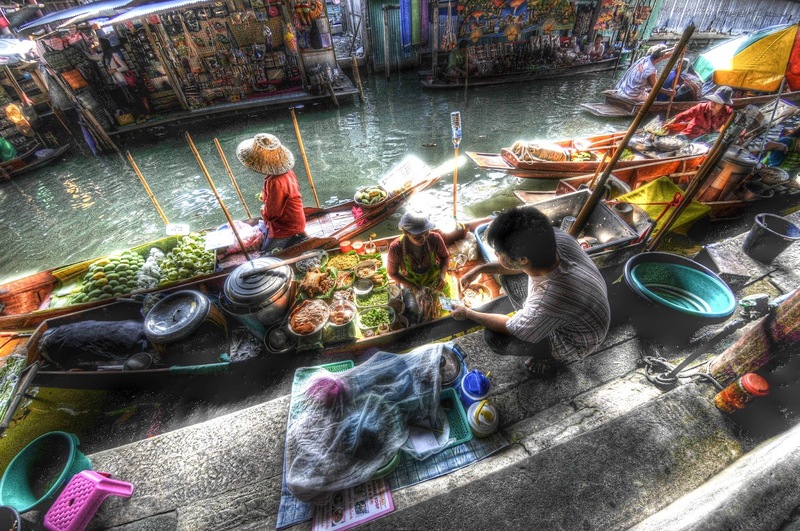 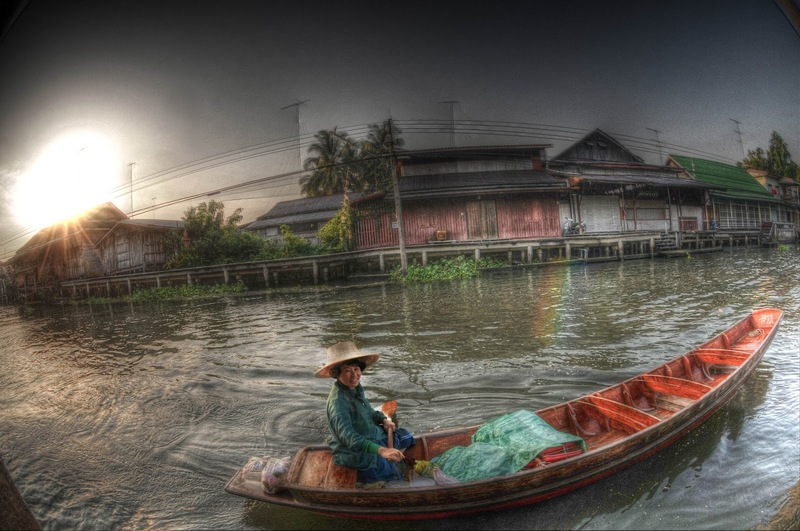 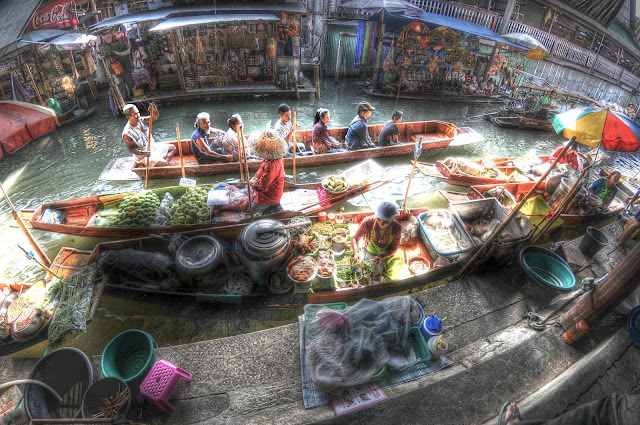 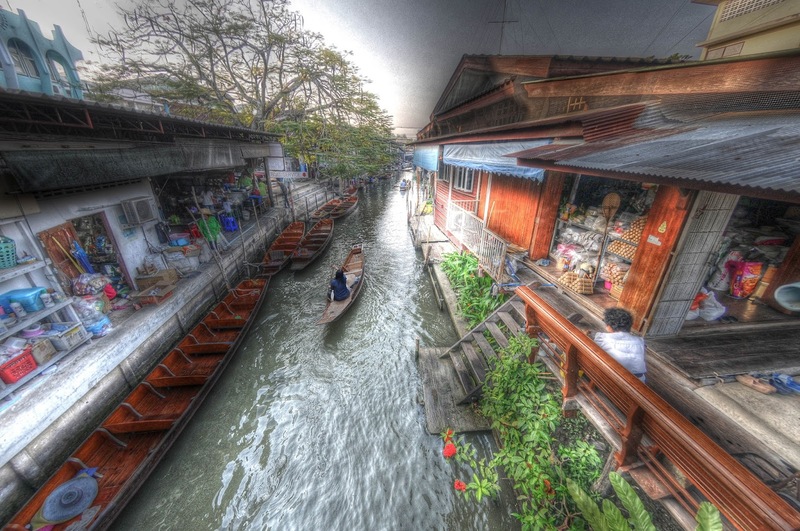 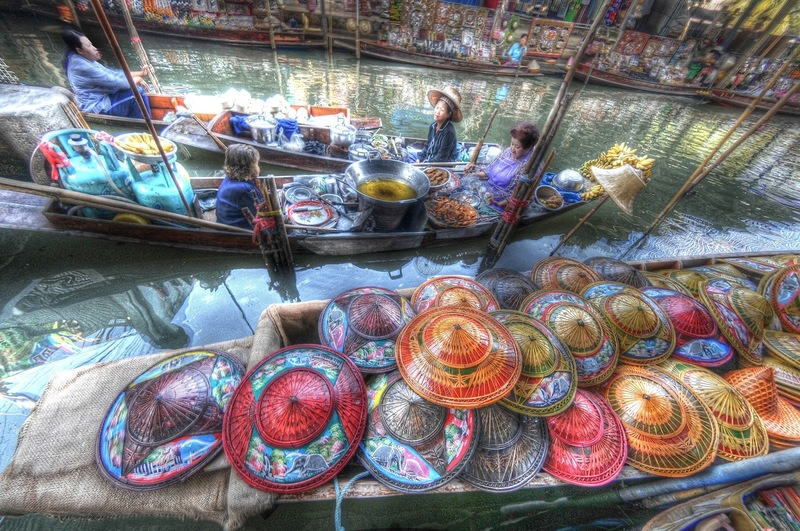 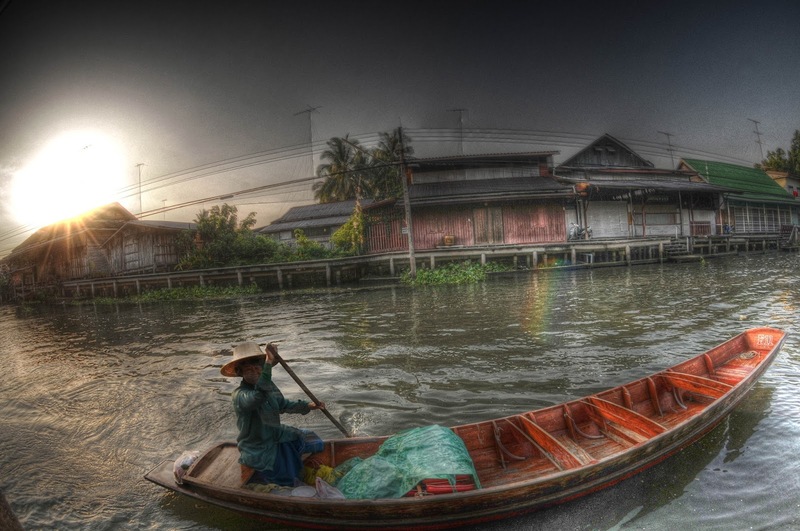 Bangkok was once called "Venice of the East" because of its network of canals. 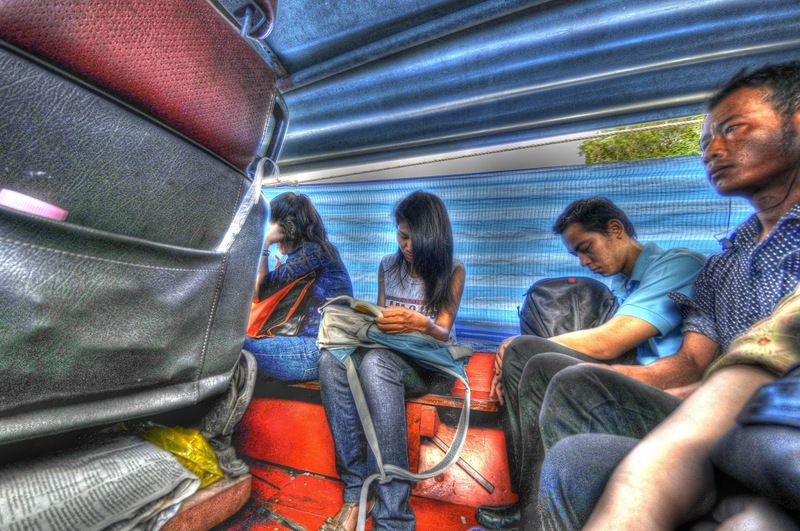 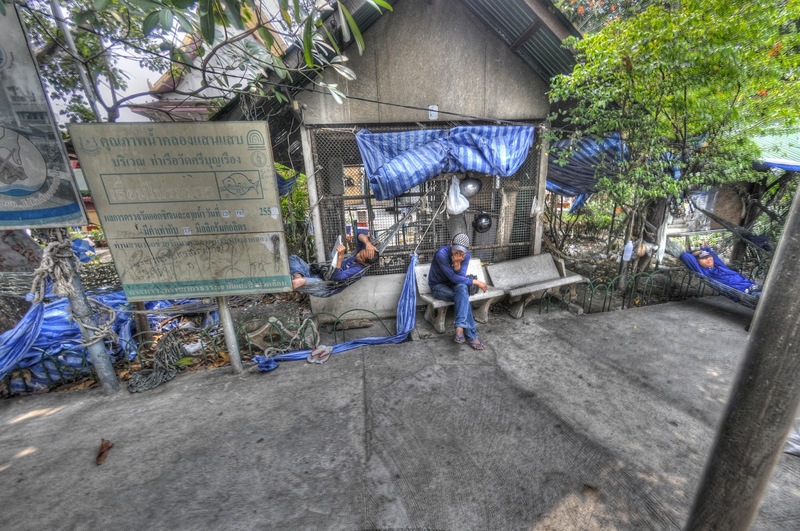 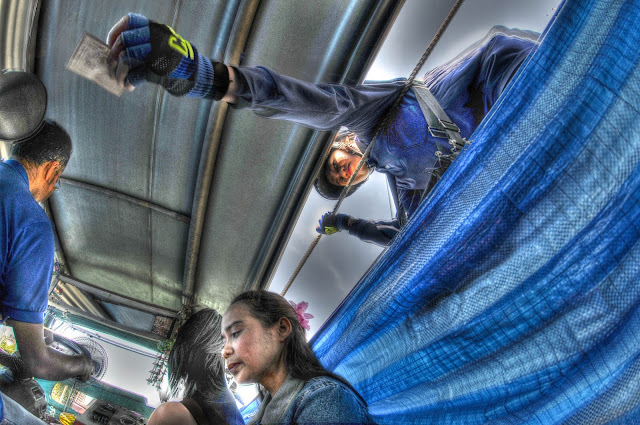 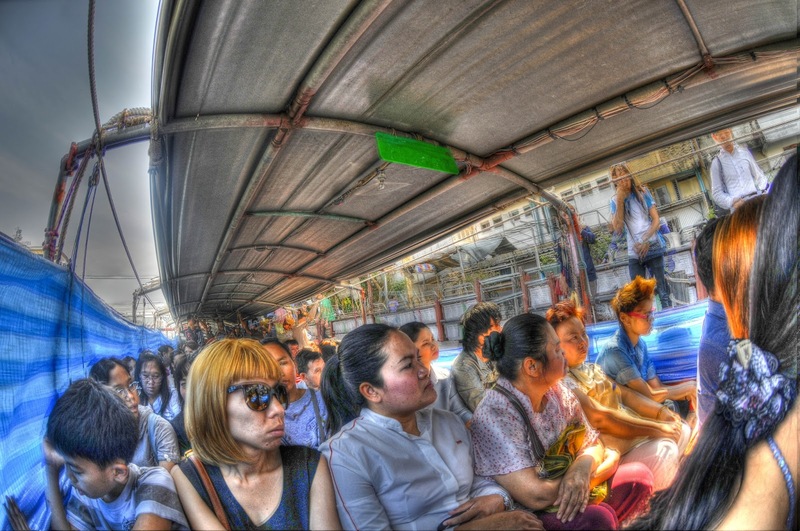 Today, one in five Thais live in and around the capital city. Even today with automobiles and buses, canals are often the fastest way to travel in the City of Angels. The Chao Phraya River - which stretches 240 miles through the heartland of Thailand - feeds Bangkok's canals with water before it empties itself into the South China Sea. (about 60 cents US). 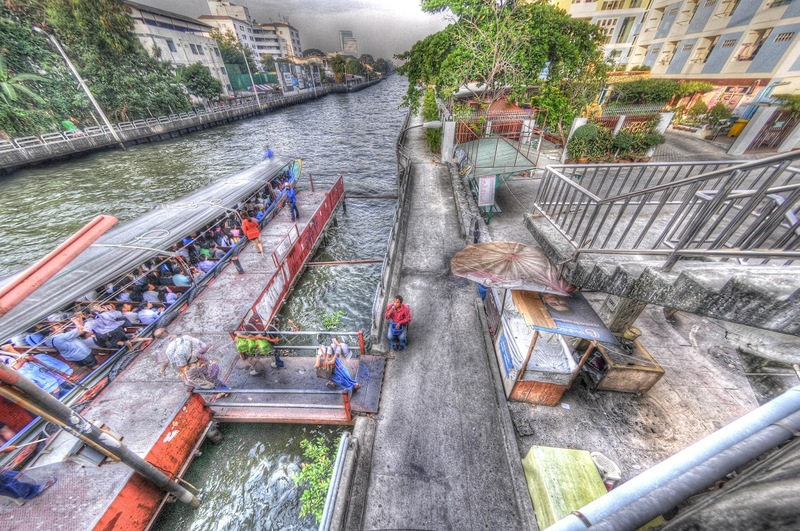 Khlong is the Thai word for canal. 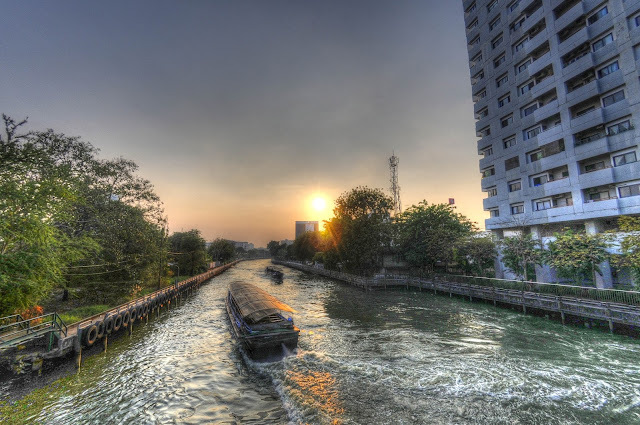 This important canal connects the historic district of Bangkok (where Wat Pra Kaeo, the Royal Palace and other important landmarks are) with northern parts of the city including Siam, Pratunam, and Bang Kapi. 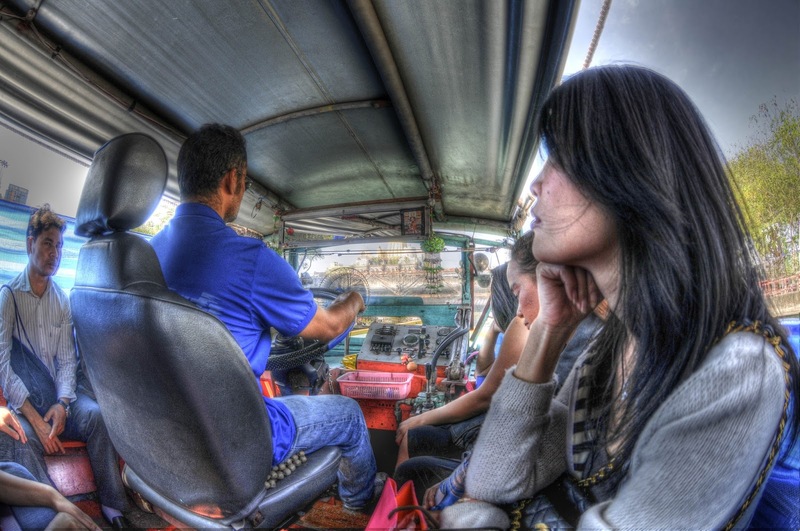 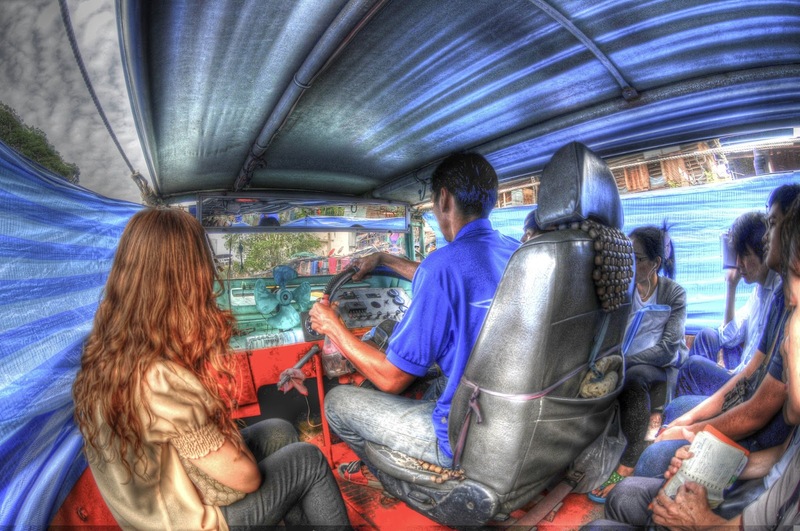 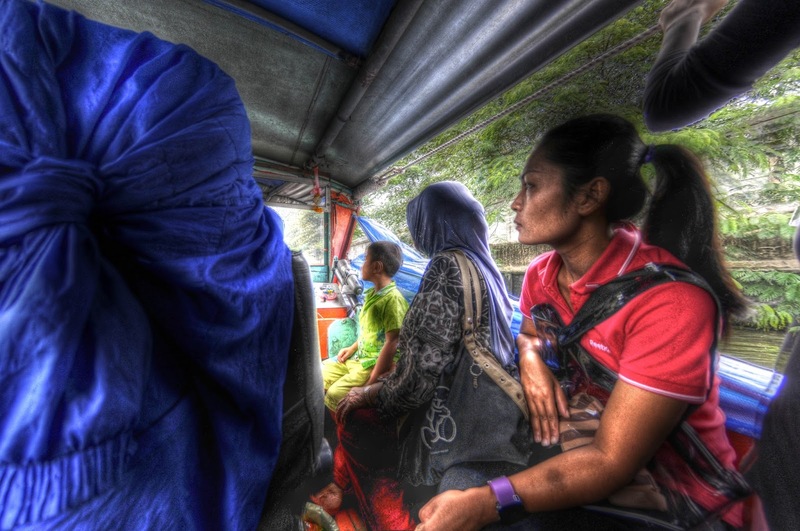 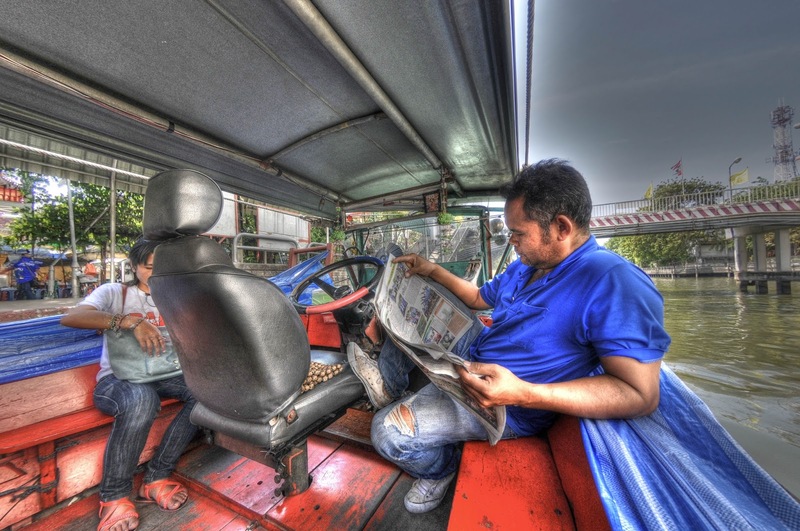 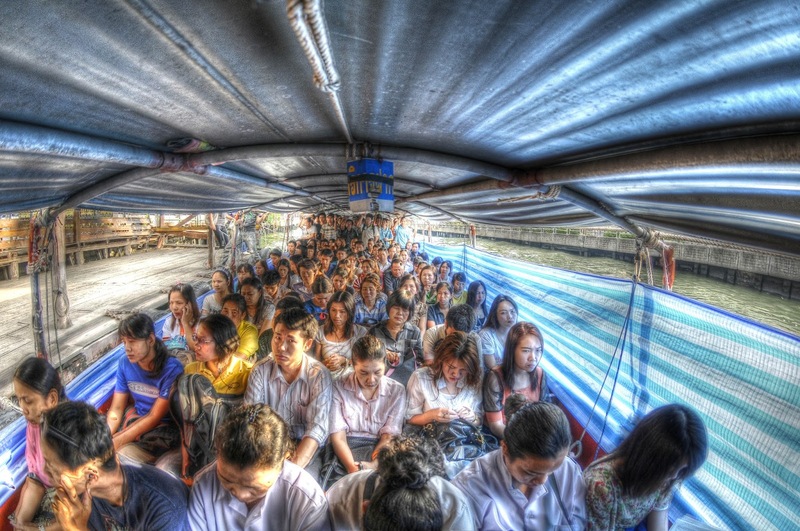 Approximately 60,000 locals rely on Khlong Saen Saeb to travel to and from work every day. The company that operates the express service has around 100 boats that can seat 50-60 easily. 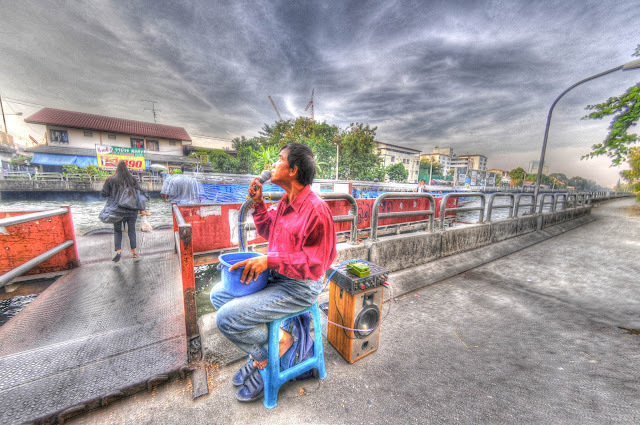 Sip some coconut juice right out of the shell while waiting for your boat and don't forget to tip the street performer (if you like him). 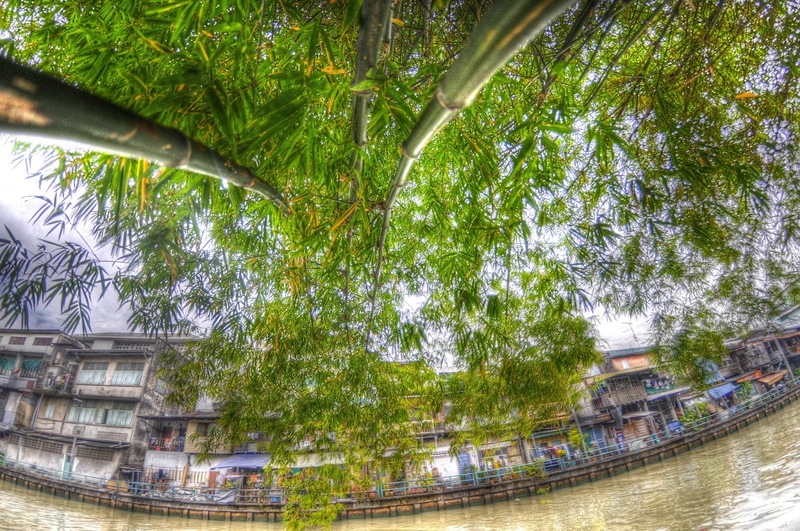 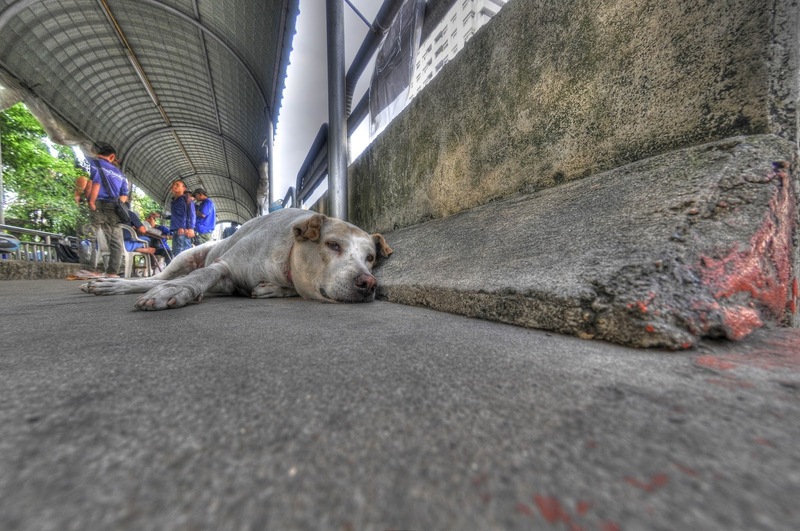 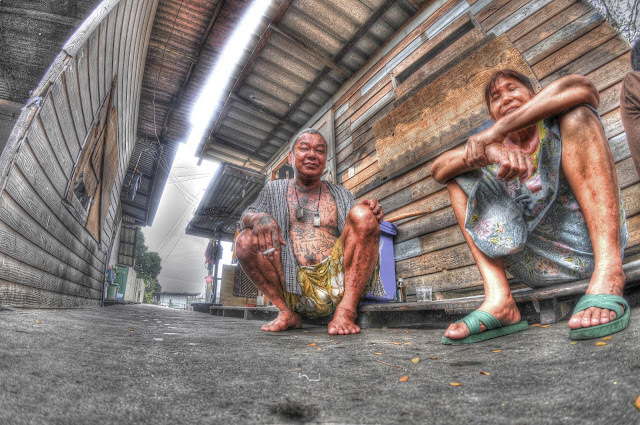 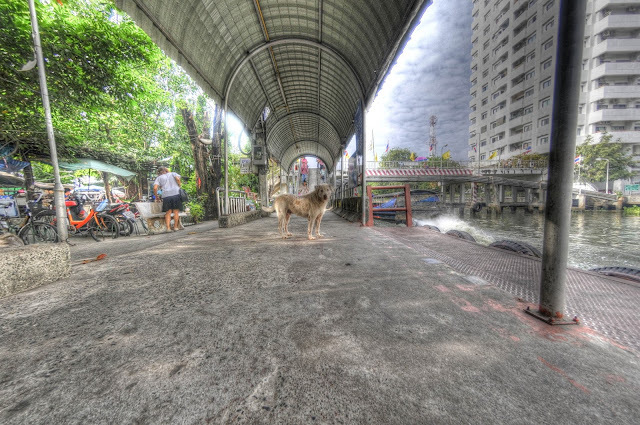 Bamboo can often be found providing shade along the sidewalks next to Bangkok's canals. 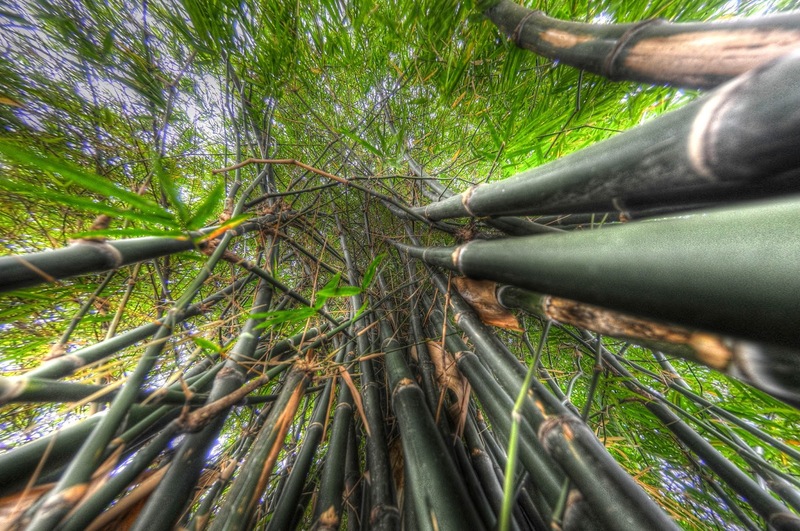 It's the fastest growing plant on Earth, increasing in height up to 3 feet in one day! 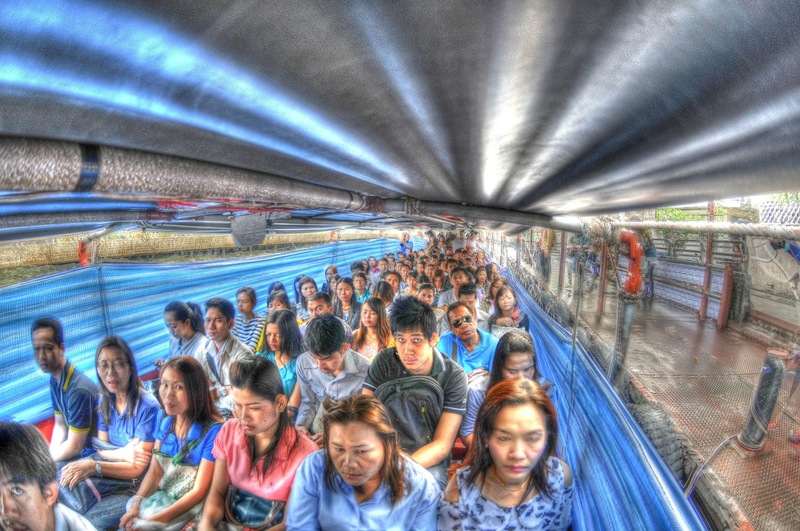 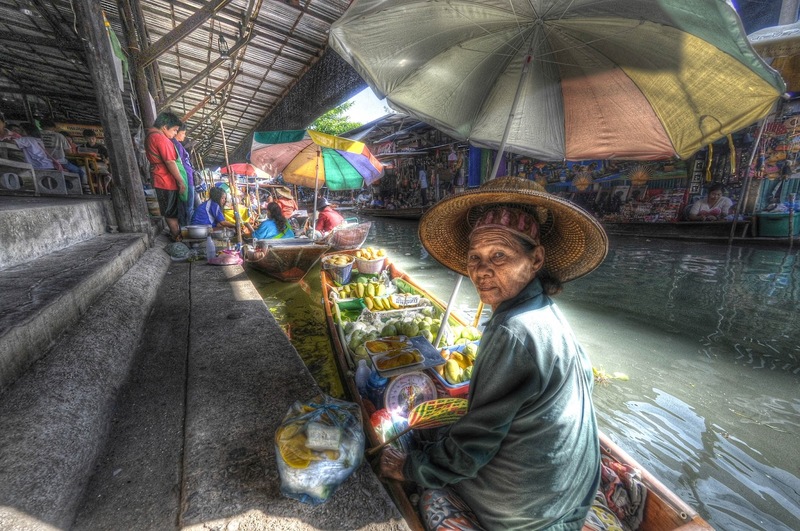 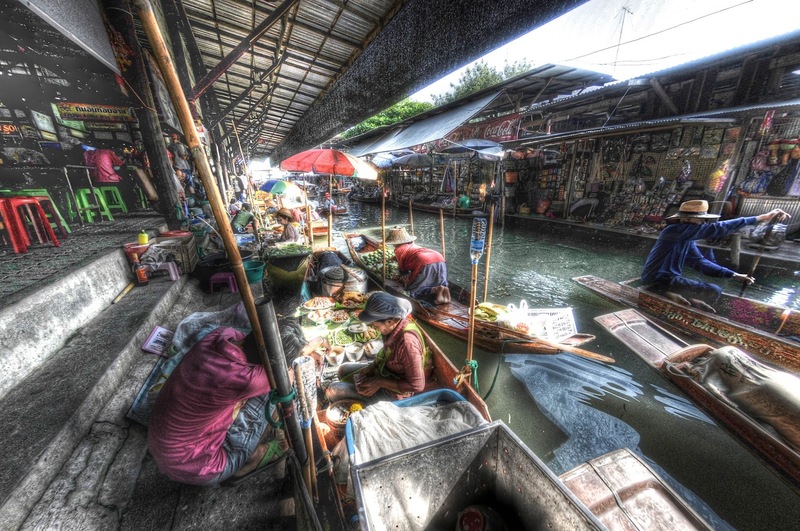 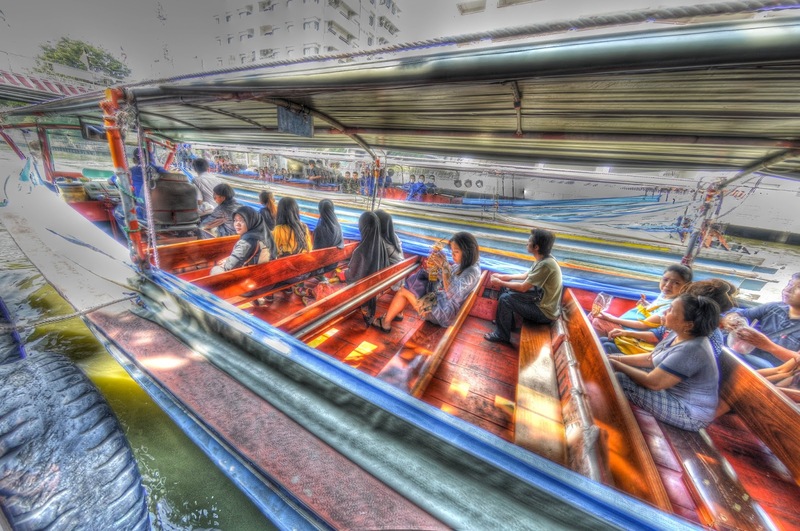 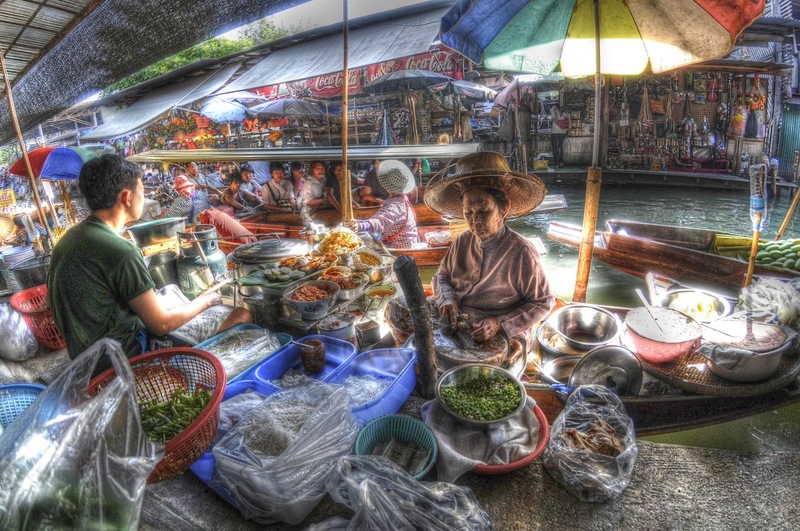 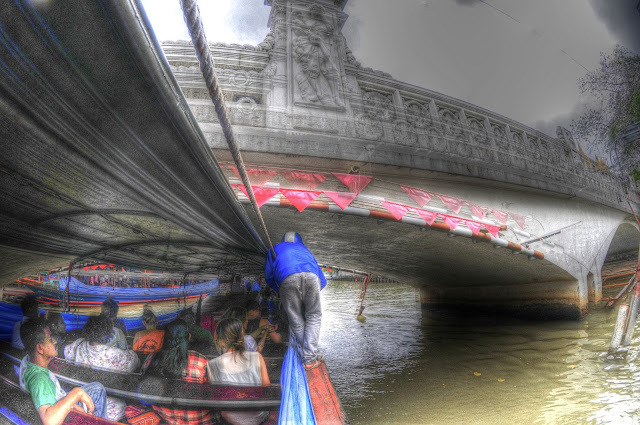 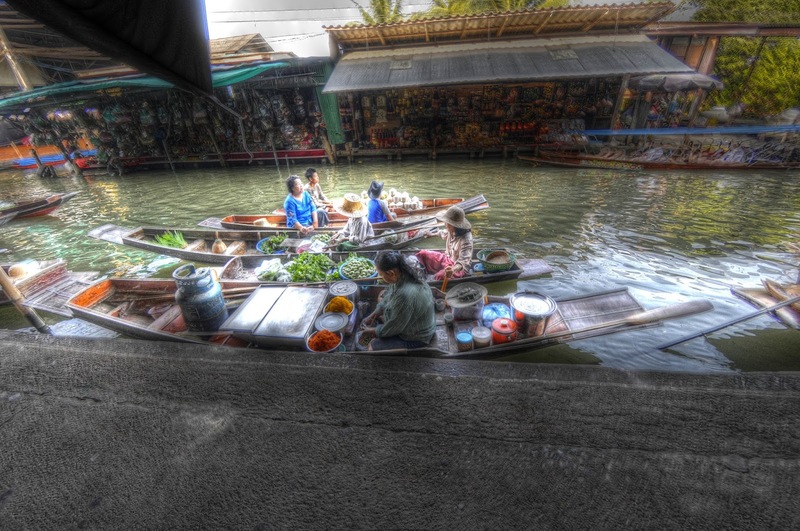 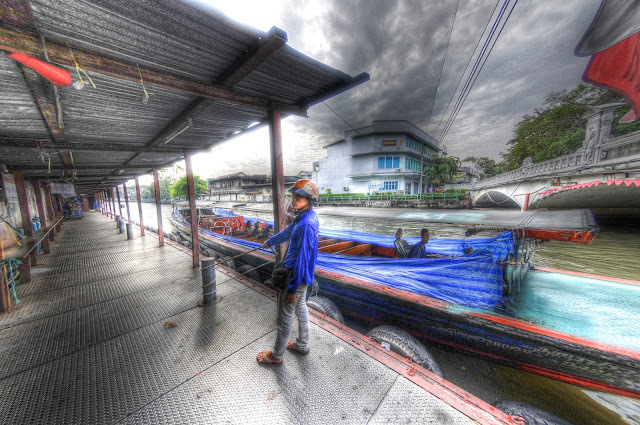 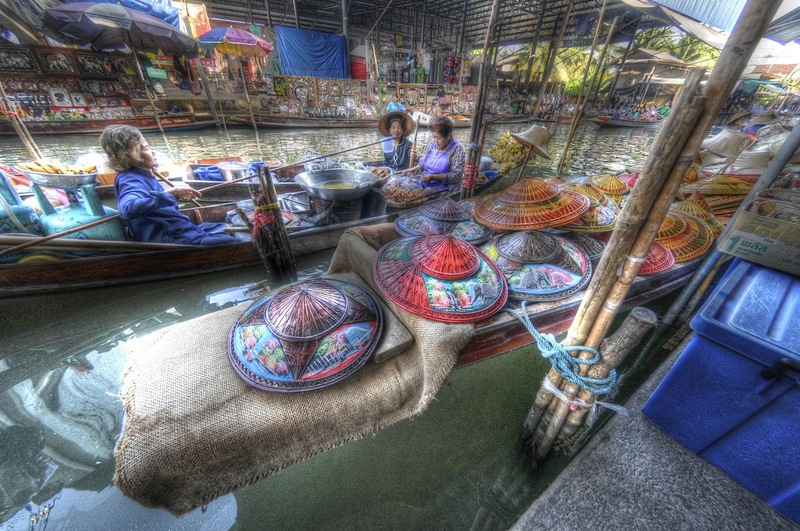 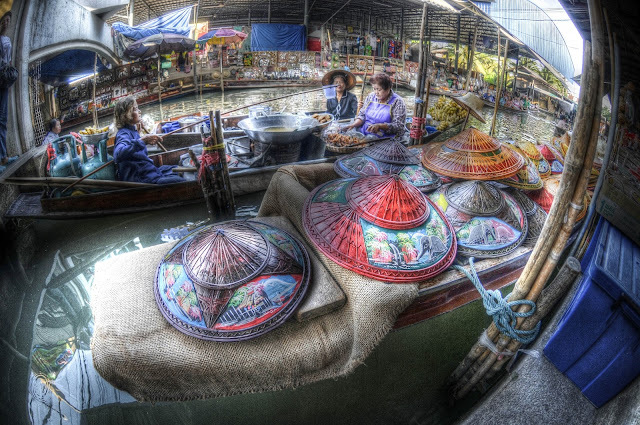 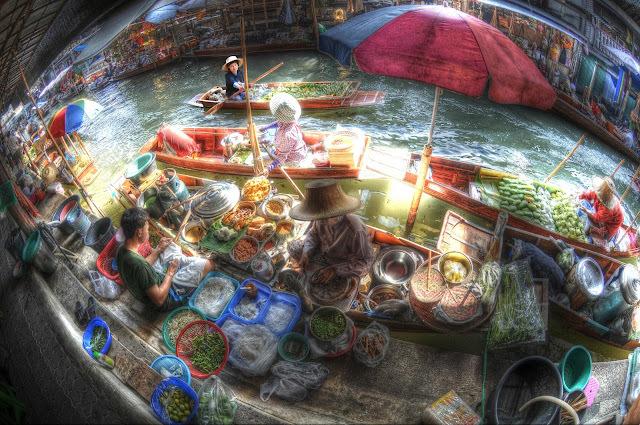 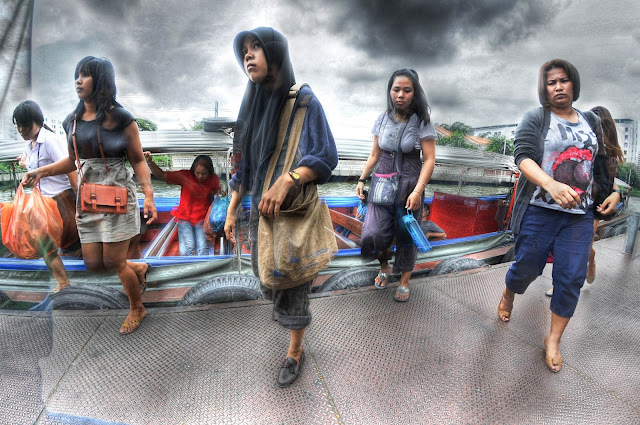 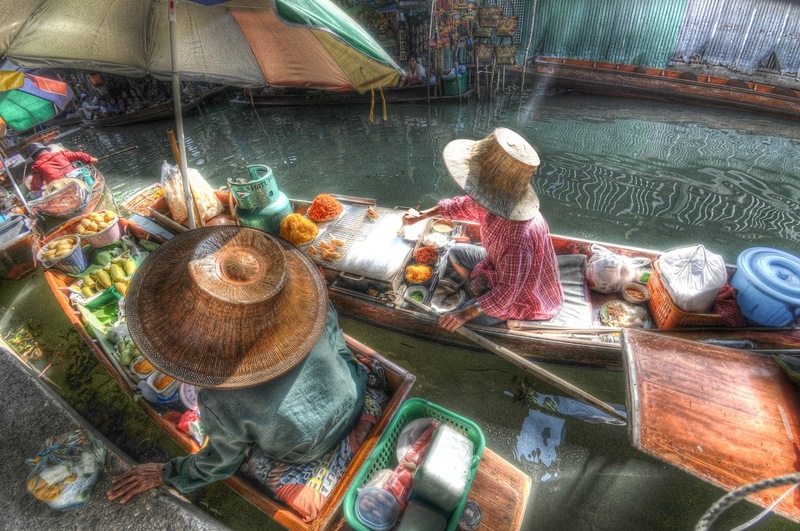 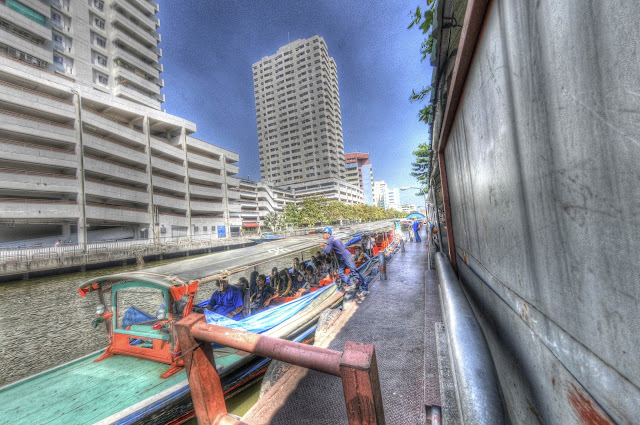 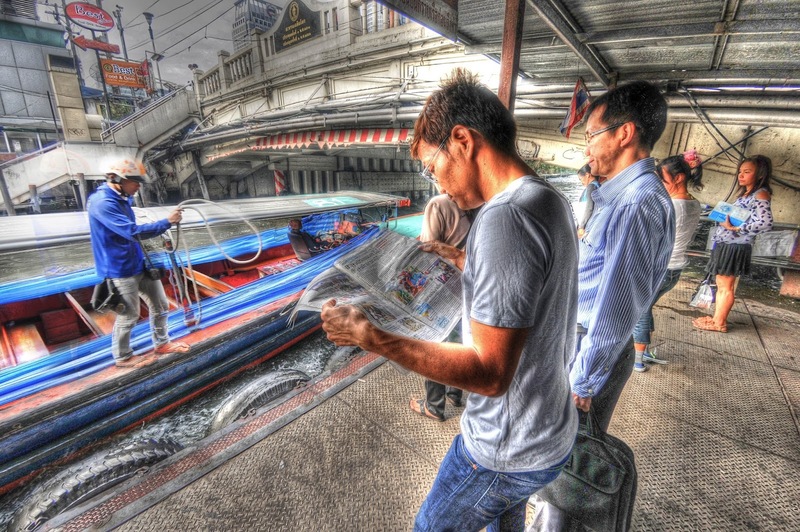 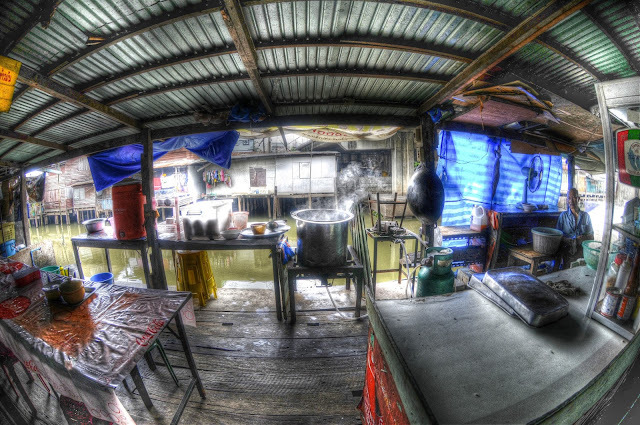 Canals in Bangkok can be a tight squeeze at times, but travel on the river is more open. 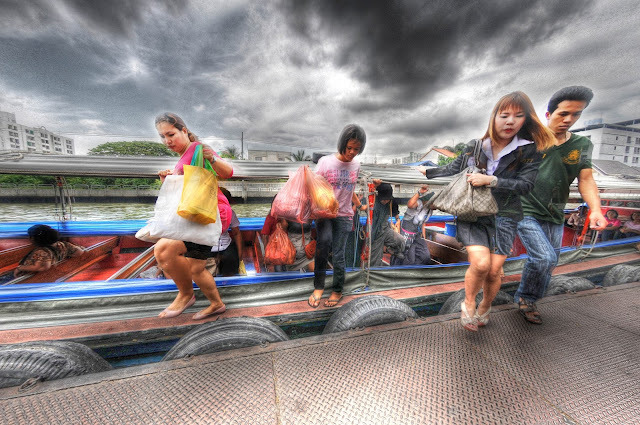 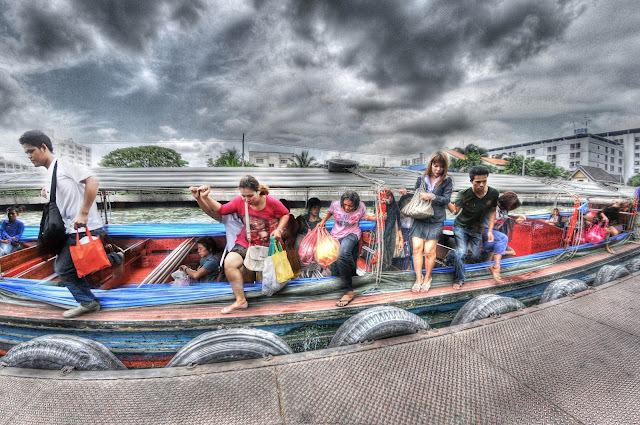 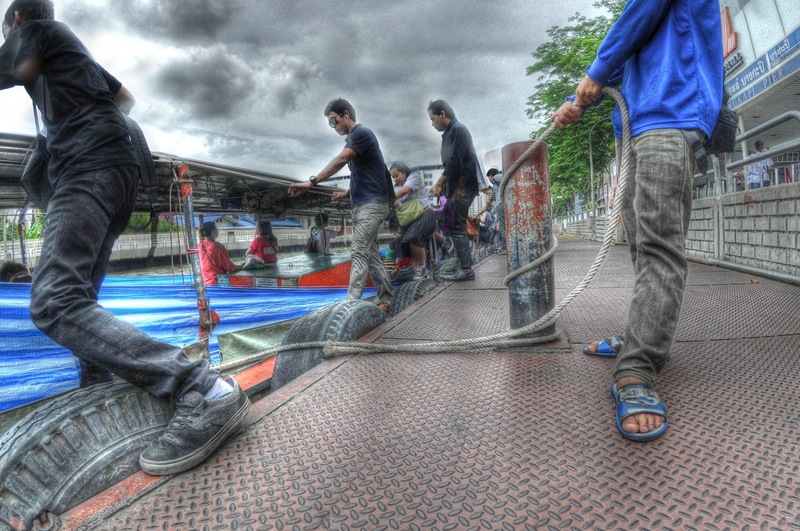 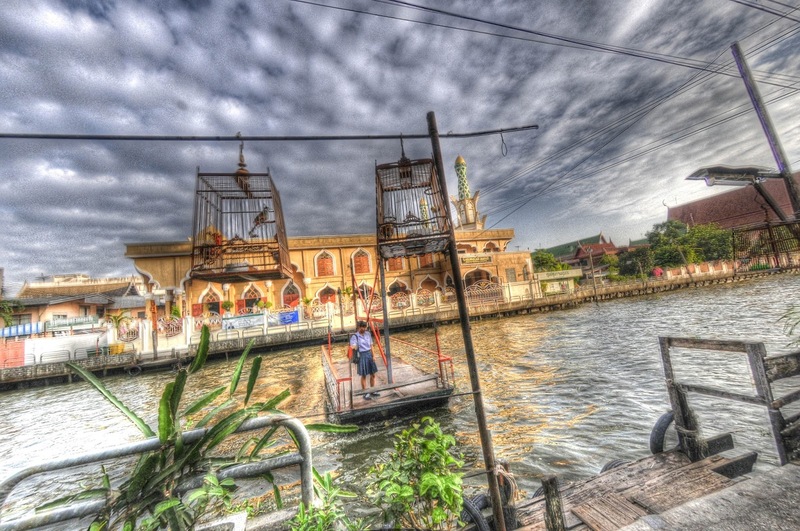 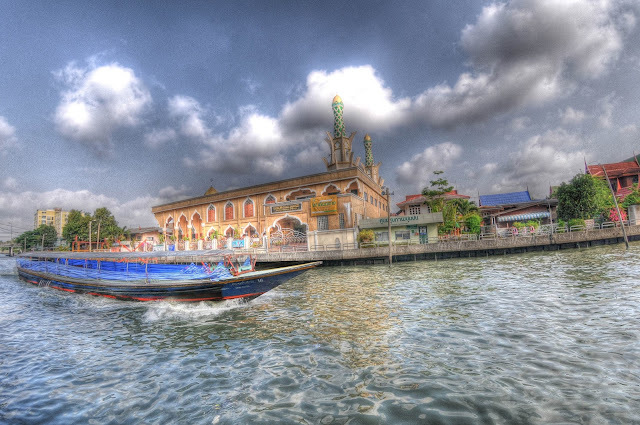 There are several inexpensive public boat services on the Chao Phraya River. 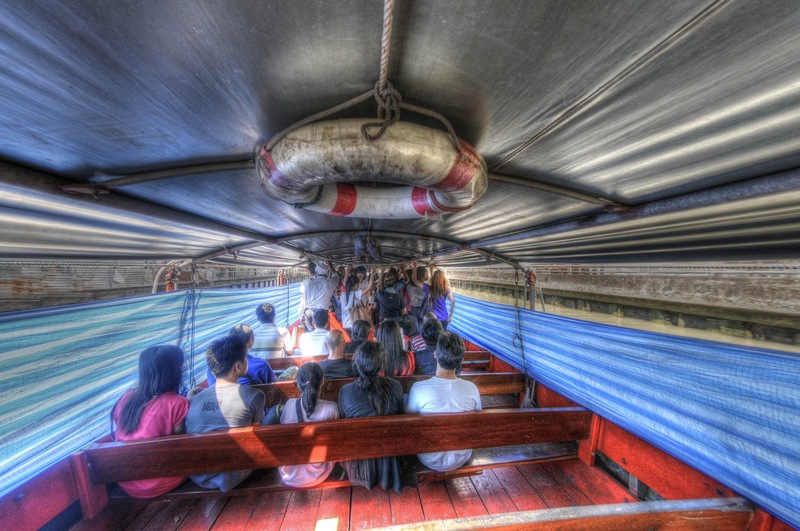 Boats with the orange flags stop at major sites, while boats with blue flags are specially for tourists and will stop whenever you ask to be let off. 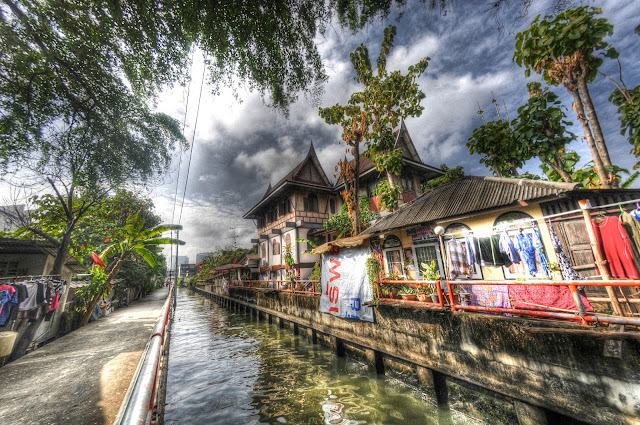 Buddhist temples tend to be located next to canals and rivers in Southeast Asia. Before motorized vehicles made their appearance, long-tail boats were the main form of transportation in this water-rich portion of the Orient. 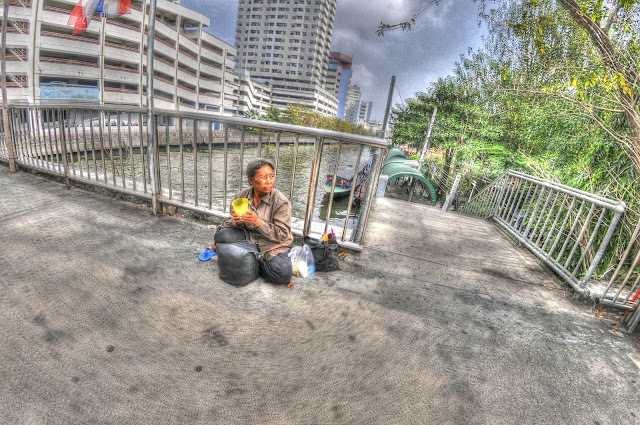 Unlike most Western countries, the financial safety net is not as comprehensive in Southeast Asia. 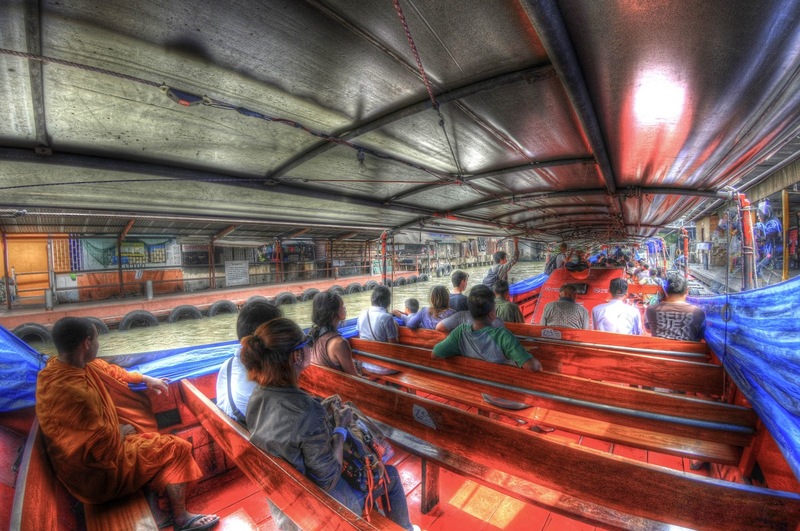 The first canals were built to improve transportation in the 1500's. 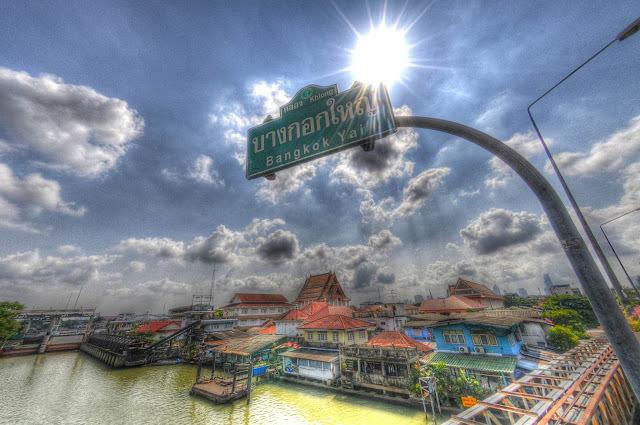 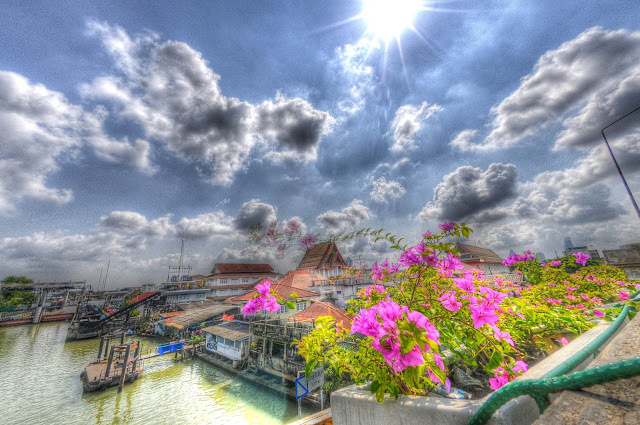 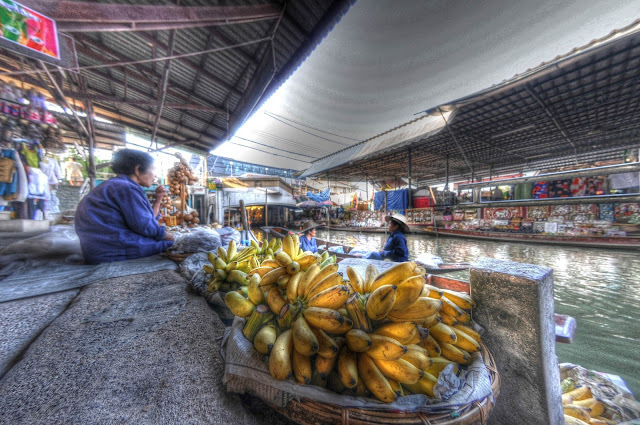 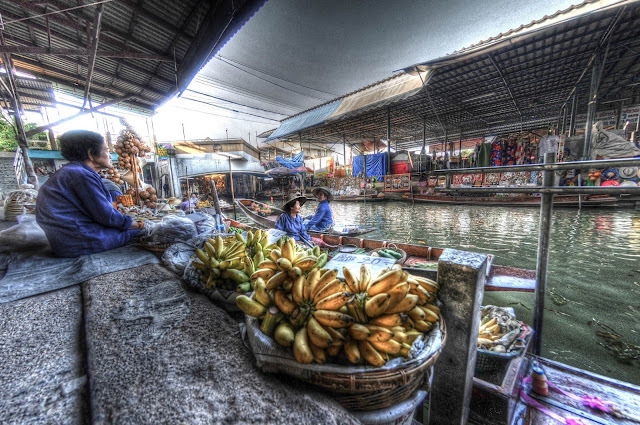 Later canals were added as protection when Bangkok became the capital of Thailand after the fall of Ayutthaya in 1767. Thai generals feared the Burmese would return, so they set out to recreate the same setting as Ayutthaya had and essentially make Bangkok into an island fortress by surrounding it with canals, moats and of course the Chao Phraya River. The military had a ring of forts built along the river, canals and moats for additional protection, built by slave laborers from Laos, but the Burmese never returned. 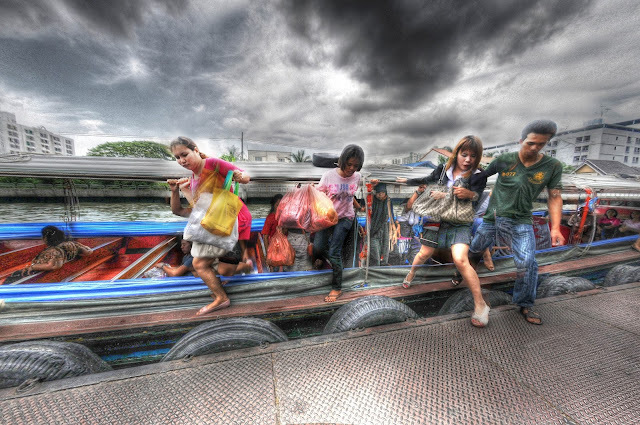 They had problems of their own back in Burma and therefore never threatened Thailand's safety again. 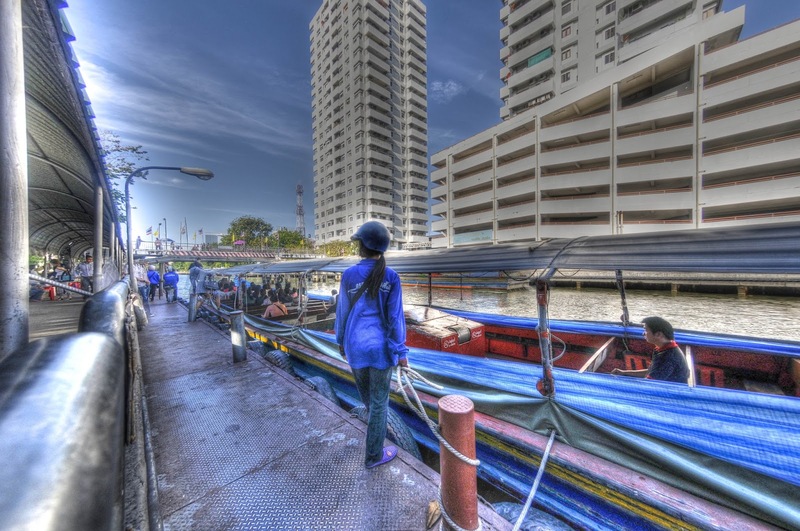 Today two forts still remain in Bangkok: Phra Sumen on the Chao Phraya River and the Mahakan Fort on the canal Khlong Saen Saeb. 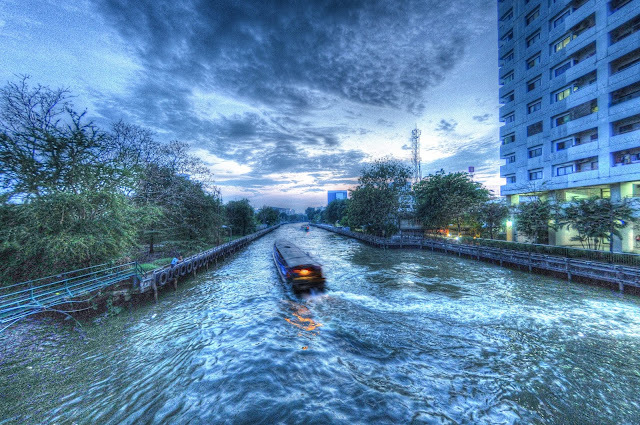 One of the largest universities in Bangkok is named for King Ramkhamhaeng the Great, who was the most important leader during the Sukothai period (AD 1230 to 1438). 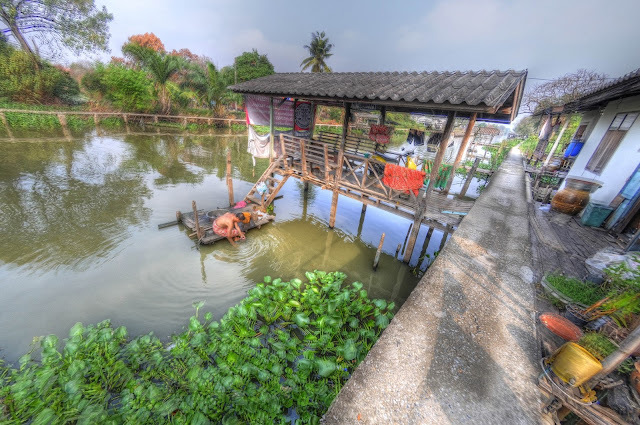 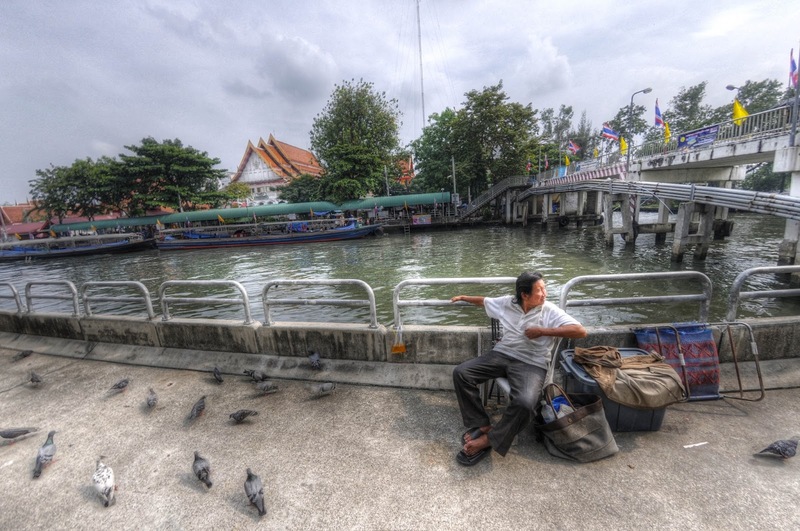 He is said to have created the Thai alphabet and the university that bears his name is so extensive, there are three separate piers along the Khlong Saen Seab for the convenience of students and professors to step on and off the boat. 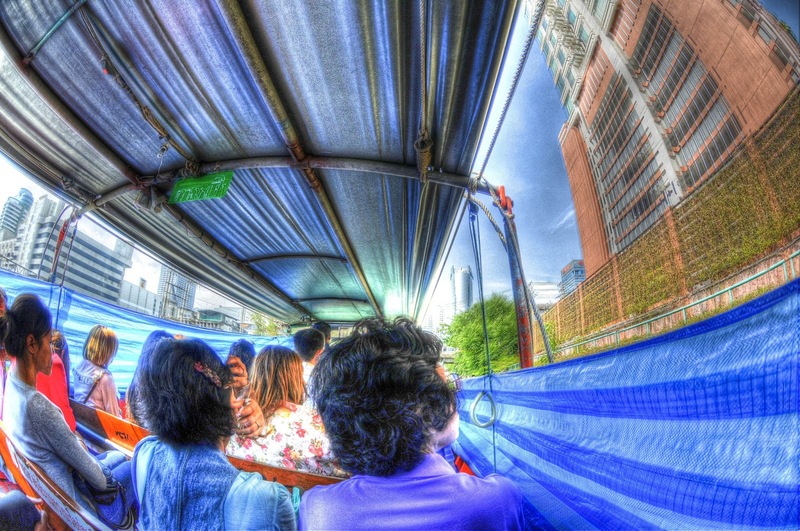 Most boats on the canal have blue plastic that can be raised and lowered by passengers whenever a passing boat from the other direction produces a strong wake. This becomes more important to remember on windy days because canal water is typical of what you might expect in a large city: green and sometimes quite smelly. 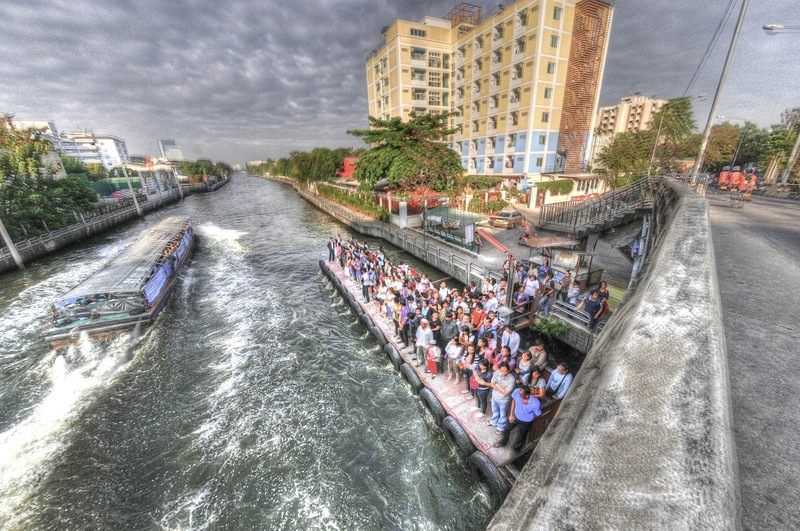 On hot days in March and April (height of the hot dry season), you might see children jumping from bridges into the canal to cool off. 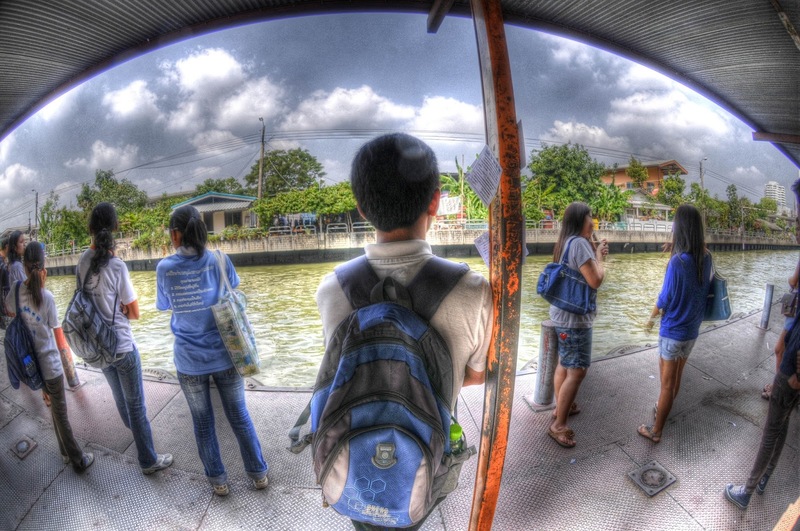 It's fortunate young people tend to have stronger immune systems. Khlong Saen Saeb passes within walking distance of many places of interest to the tourist, including designer shopping at Siam Square, Jim Thompson House, Pratunam, Skytrain and Metro stations, Bo Bae wholesale clothing market, Bangkok's main train station Hualamphong, Chinatown, Little India, . 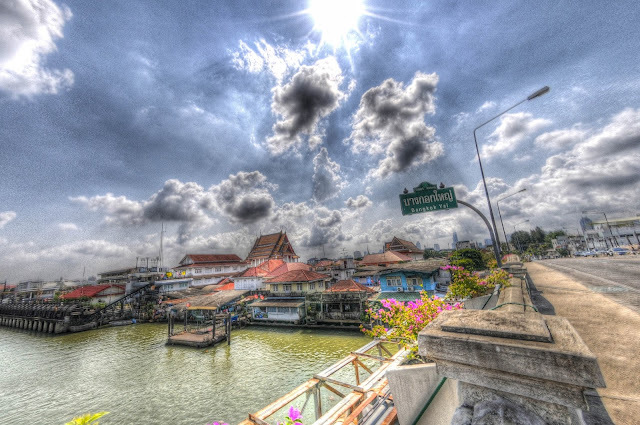 . . Its southern terminus is at Golden Mountain Temple (Wat Saket) and its northern terminus is at another temple called Wat Si Bunrueang. 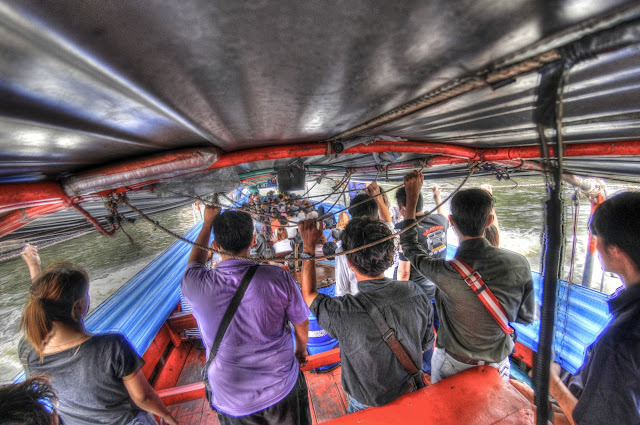 If you'd prefer a more personalized experience without crowds, you may want to hire a private long-tail boat and explore the area known as Thonburi, which is on the west bank of the Chao Phraya River. 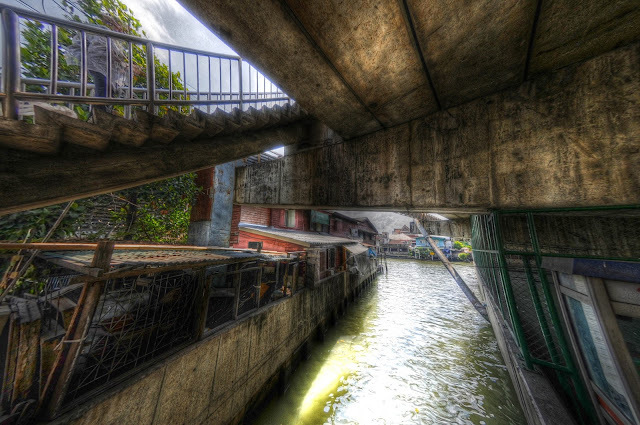 These canals are smaller and more intimate with their surroundings. 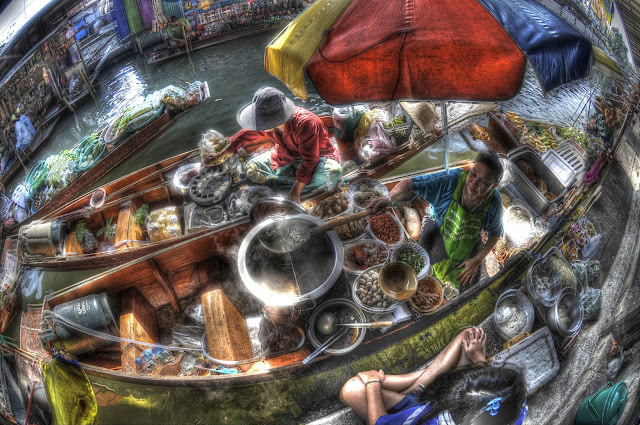 They're popular with tourists (both historic Wat Arun and the Royal Barges National Museum are on the west side of the river) and even though I haven't done one, some full-day tours come highly recommended and include lunch at an authentic restaurant, exploration of local temples, and shopping at neighborhood markets (check TripAdvisor.com). 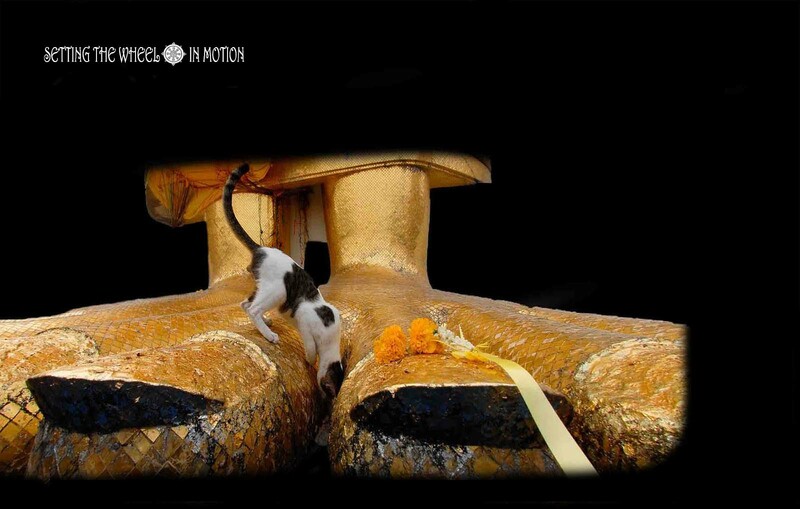 You can book a canal tour at any of the central piers on the river including Tha Phra Athit. 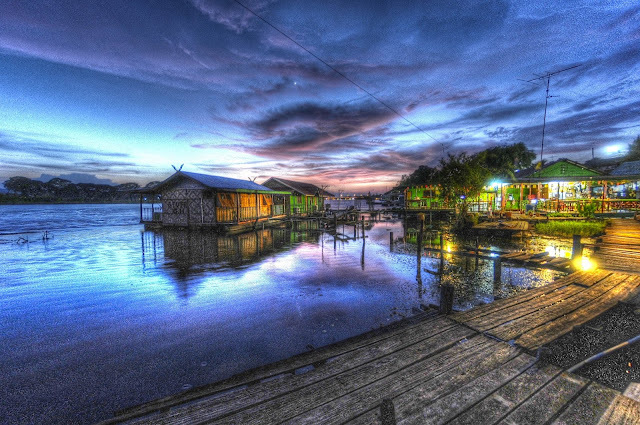 Before the late 1800's, all commoners had to live in boats or stilt houses above rivers and canals since only the king could own land in Bangkok. 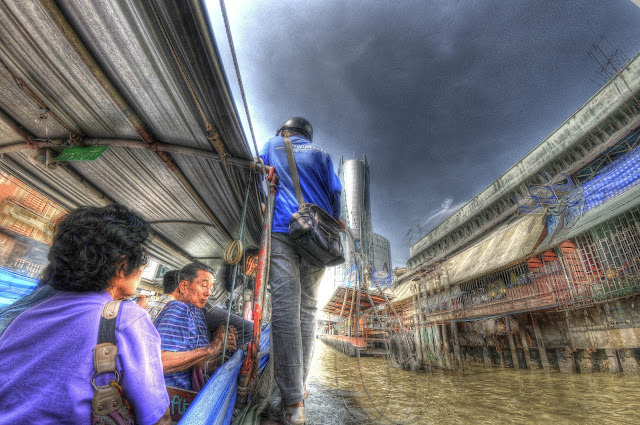 Like New Orleans, Bangkok is built on top of a river delta, meaning it is flat and flood prone. 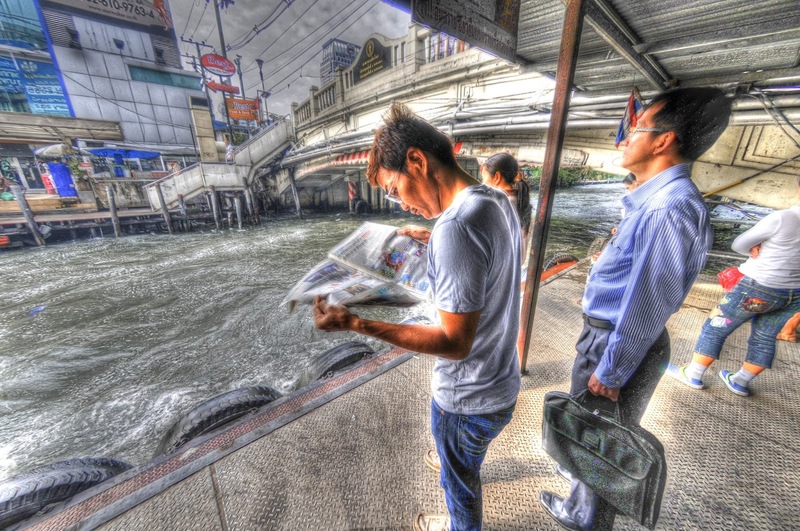 With sea levels rising, the canals of Bangkok will be important in the future for managing water flowing into the city.